Ultra HD 4K has arrived! 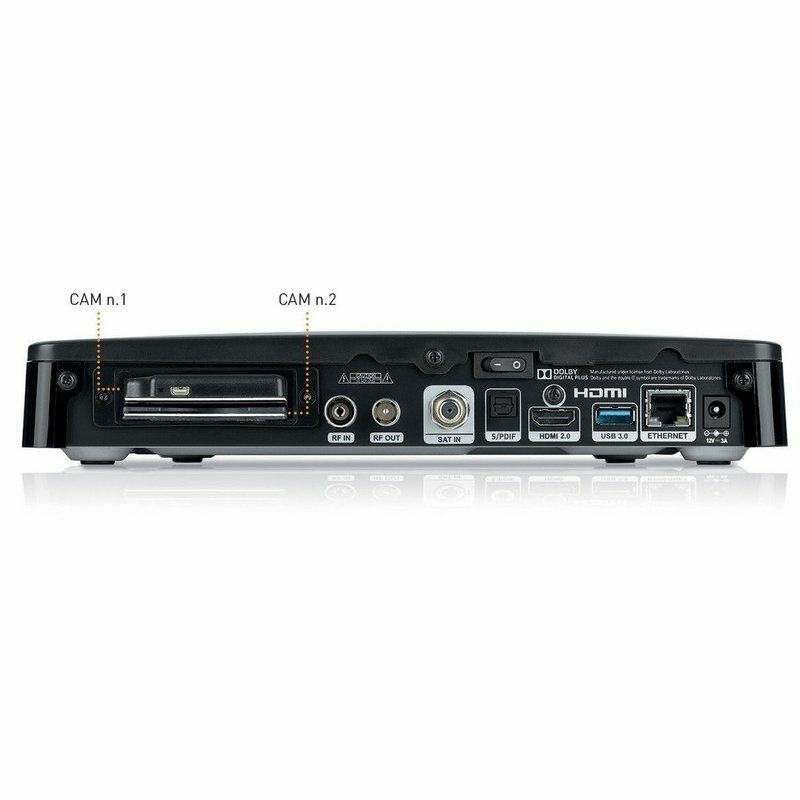 Discover the extraordinary quality of the details and the resolution 4 times nicer than traditional Full HD signal. 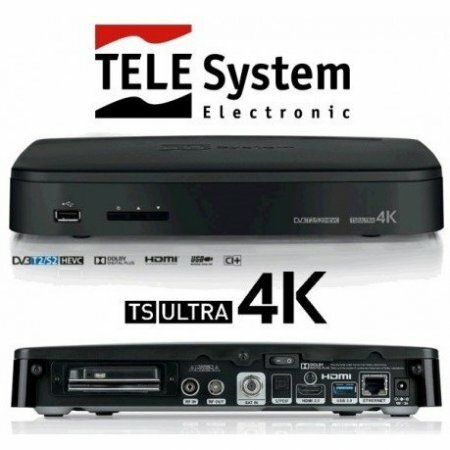 Thanks to the double terrestrial and satellite DVB-T2/DVB-S2 HEVC tuner, and to the powerfull CPU from 12.000 DMIPS and 2GB RAM of the TS ULTRA 4K receiver, You could watch any Ultra HD event transmitted on the tivùsat platform. 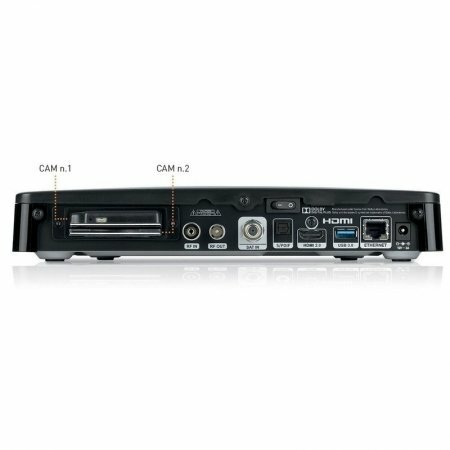 Your TV has only one slot for CAM? TS ULTRA 4K will go over this limit, thanks to the double CAM CI+ slot You could use up to 2 CAMs at the same time. 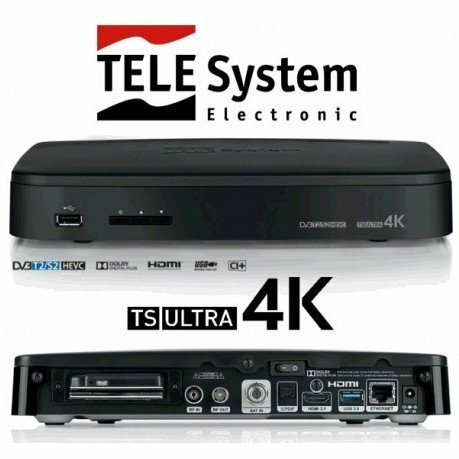 Furthermore, by a simple software update that will be performed soon, TS ULTRA 4K will become a digital powerfull digital videorecorder. 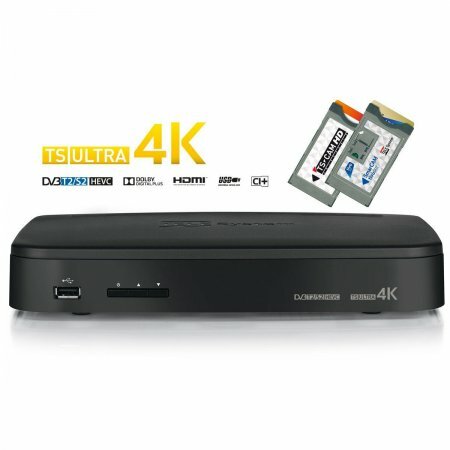 Thanks to the double tuner, You can watch your favourite program or movie from your hard disk and at the same time You can record the football match of the your favorite team trough the high speed of the USB 3.0 port.